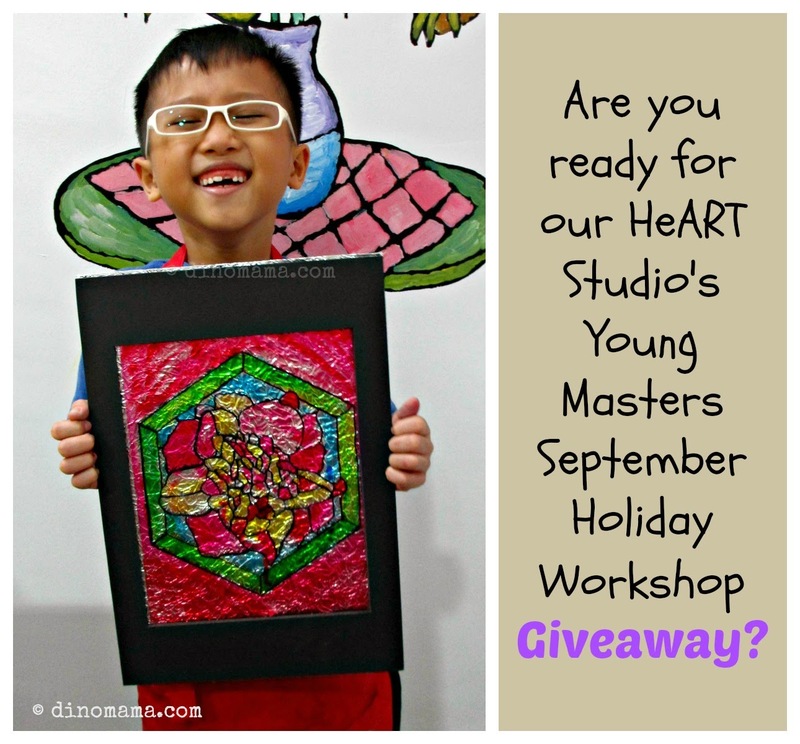 During the recent June school holiday, DinoBoy attended a holiday workshop at HeART Studio and had a 2.5hours of fun "glass" painting. Of course for safety reason the kids are not painting on real glass, instead they did the painting on a plastic transparency sheet. The kids started off by choosing the picture they want to do, after that they place the transparency sheet over the picture and used a marker to outlined it. 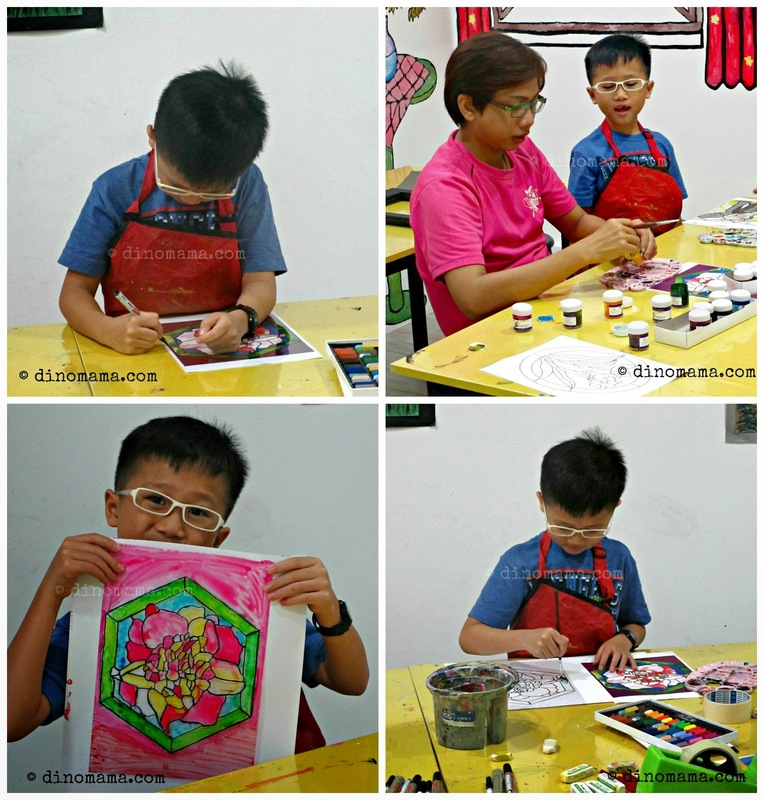 Once that is done, they were given some special glass color paint from teacher and started to paint their picture. It looks like an easy job but it most definitely not! Besides applying a few layers of the paint to make the colors visible, DinoBoy has to do color shading and lighting too. Teacher Gaz mounted his finished artwork onto a piece of crumpled aluminum foil and framed it up. DinoBoy is obviously very happy with his work. 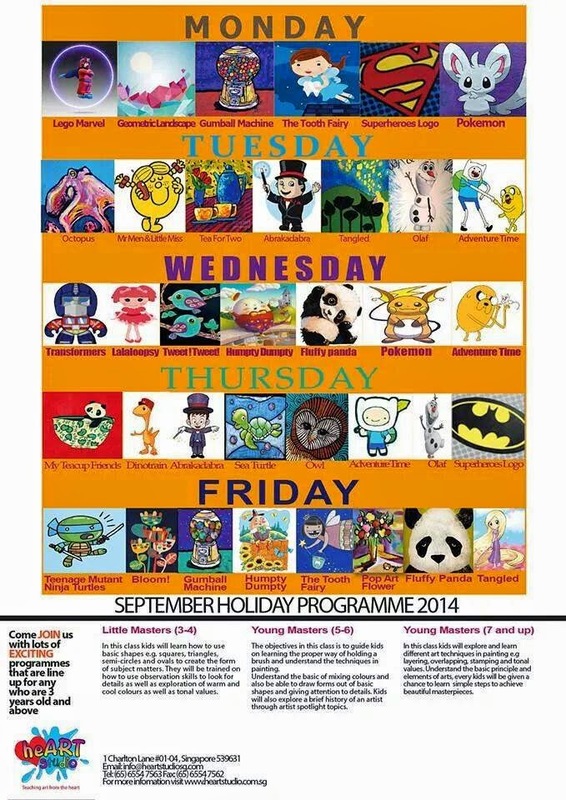 PS : If you are at HeART Studio, look around and you may see a few of DinoBoy's art work hanging all over the studio. 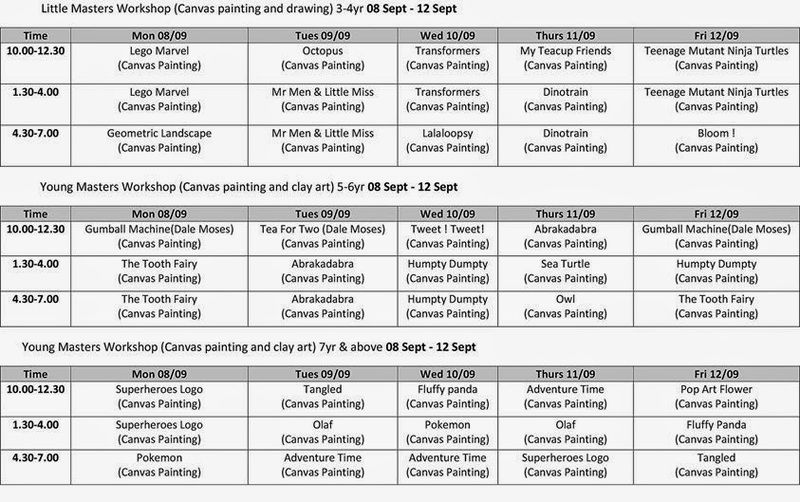 HeART Studio September Holiday Workshop program is out, this time the focus is on Canvas Painting, the lesson topics (according to the age group) are Little Men and Little Miss, Humpty Dumpty, Transformers, Superheroes logo, Olaf from frozen, the tooth fairy and many more!! So book your slot now before your preferred class is full! 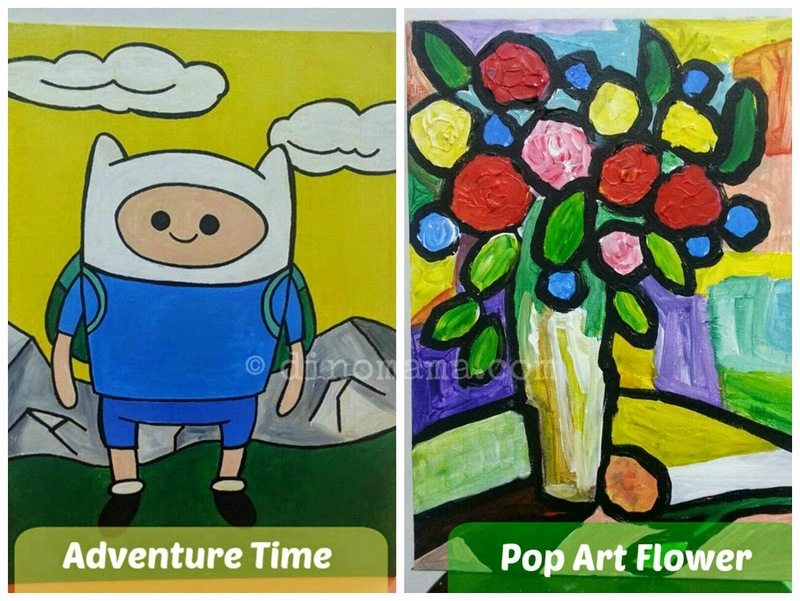 The Children will learn how to paint their all-time favorite characters and Artist technique at the same time they will also learn to blend colors and understand the color values: Contrasting and complimentary colors. This painting program will open a window of experience for the student to try out canvas painting to the many different interesting subject matters that have been chosen for the class.